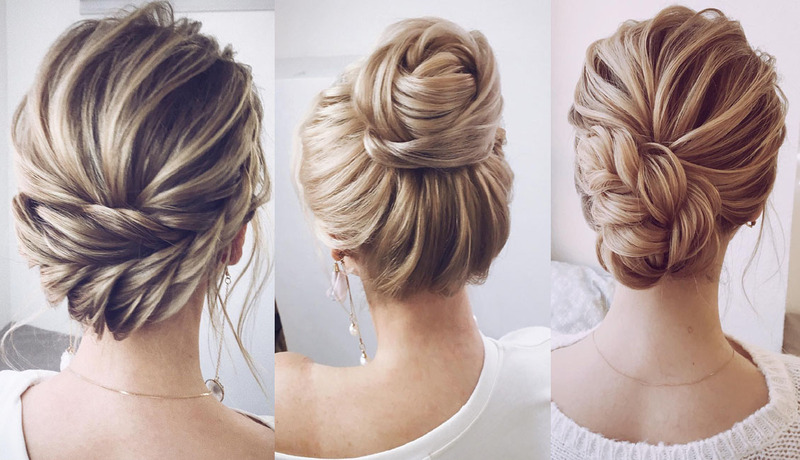 Low buns, top knots, twists or simply pinned up curls acquire a unique effortless and relaxed feel when they are messy. Today messy hair is worn not only in casual, but also on the red carpet. So, you simply can’t miss the trend! Here 20 wedding updos from Lena Bogucharskaya.